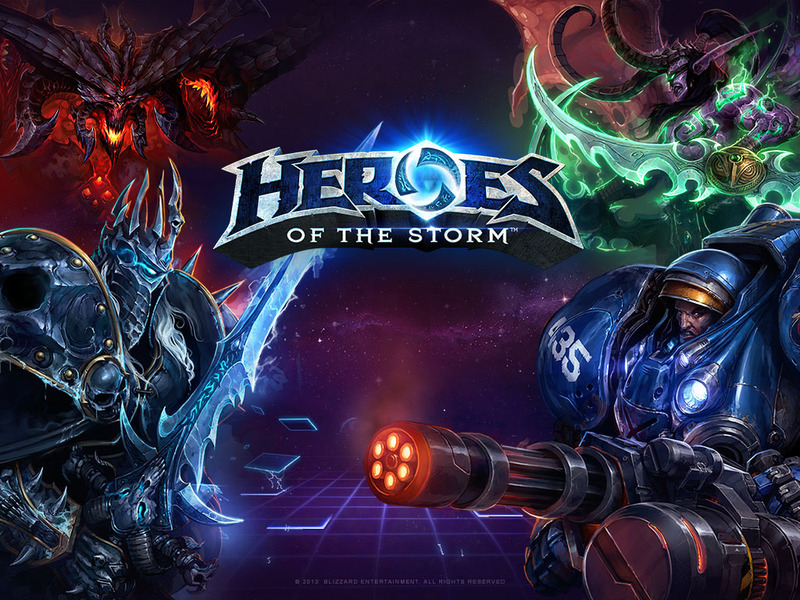 I've been really impressed with Heroes so far, and am really looking at what they have planned in the future for it. If they consider that an alpha, beta is going to be pretty awesome. The team level thing is still kind of odd for me even after playing for quite a bit, but I appreciate them trying to do something newish. It is growing on me, but slowly. I'd strongly suggest giving SMITE a look. I've been enjoying the crap out of it so far - while it does have items, you can set both your items and/or skills to autolevel without your intervention. It's quite enjoyable and a mildly different spin on the MOBA concept. One note about Smite: when you fire it up for the first time they force you into a tutorial. In said tutorial they have you play as a 90% naked archer lady. After that she's just one of many character options and you can be whatever gender and/or % clothed you'd like to be. I found it a bit offputting to be thrown into the deep end of cheesecake like that, but the rest of the game was pretty darn good once I got past that part. Got my key and I've been playing a lot for a couple of weeks. I'm enjoying that it is different than other MOBAs. Not buying items is nice. The map based objectives bring verity to the genre. I feel like Blizzard took out a lot of the things I got bored of in the other DOTA type games. I look forward to more updates. Still nothing... I guess I must've somehow pissed Blizzard off. I've even tried getting back into their good graces by resubscribing to WoW and buying Mists of Pandaria. And getting a copy of WoW for my daughter (which she's now hooked on; parent of the year award?). And getting another buddy to resubscribe and upgrade, too. WHAT MORE CAN I DO TO APPEASE YOU, BLIZZARD?? 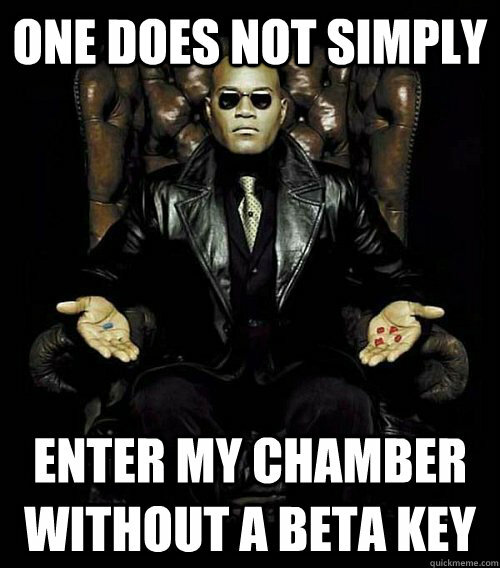 Whats the best way o get into this beta??.... I got into the Hearstone beta months before it went open by doing nothing and keeping a low profile, should I do the same here to get in?, any tips? I read that you'll soon be able to pay to get in. You guys make me feel bad for having a beta invite because I haven't played in weeks. It's a fun game, but I don't think anyone who regularly plays League or Dota is going to find much to keep them playing. It is great for those looking for a more casual MOBA experience, though, so definitely try it out when you can. MOBAs intrigue me, but Dota2/LoL felt impenetrable and unnecessarily arcane when I played them. I'm hoping that this game removes a lot of the useless cruft, and distills the core of the genre into something that I can find more palatable. Been waiting for quite a while on a key though.... still no sign that one is coming. And I dislike the concept of a pay-to-beta-test.... that's just insane - beta testing is a user providing a free service to a developer! I got my invite a few days ago and I've been having a blast with this. Much more approachable than DOTA 2/LoL, the games are faster, and there's a good amount of depth from what I've seen with the various Heroes and different maps. Heck, the latest Hero they came out with (Murky) plays completely different than any other Hero I've seen, even in Dota2/LoL. I'm glad that there's a new player that's not afraid to mix things up a bit. Still no invite here either. Pfft. Let me say...this is a Blizzard Beta, which is closer to release quality than other developers....the Alpha could have been released and done just fine. I've seen F2P titles released in much worse shape. The basic gameplay is MOBA-casual. You don't need to know an item progression, because there's no items. You do level up, but you're given a choice between two skills at each level. Sort of hard to mess that up. The real key is which Hero you choose, and how you play them. Play them right, you can win. Play them wrong, and you will be treated to exponentially increasing spawn times. There's also a cool mechanic on each map that gives you a slight edge against your opponent...if you defeat the mercenaries, they fight for you. Control two shrines, and one of your Heroes becomes a Dragon Knight. Pay the Ghost Pirate enough, and hell turn his ship's cannons on the opposing team. Just got an Alpha invite. Played a couple games so far. Seems pretty cool. I'll try to post more impressions later. It's from last month, but it gives a pretty good overview of the game. I can't wait for more GWJ's to get invites though. 5-manning it with a group here just sounds like a blast. I think we have more than 5 now, just gotta sync up friends lists. I can't wait for this game to start sharing the unified friends list like other Blizzard games. My ID is in my sig, I'll add everyone else I see on this page who has an ID posted. I still do'nt have an invite as of right now, but reading the TL first impressions is making me pretty excited. I really enjoy the MOBA style of gameplay and am excited to see a "different" game compared to LoL and DOTA. ID's in my sig as well. I'll go through tonight most likely and make sure everyone is added. Should be using the same B.NET friends list at my normal account, right? Yeah, it's the same IDs, but for now the game maintains its own separate friends list. I guess this is so people don't see their friends playing the game and get jealous? I'm in, ID in sig. Added a bunch of you. I've had alot of fun, faster games than LoL and it's nice not having to worry about building items. Mostly playing LiLi, Demon Hunter and Barbarian. Despite being listed as a warrior/tank the Barbarian can do an amazing amount of damage, combo'd with the self heals I've won many 1v2 battles. I've actually found that I really enjoy playing as Abathur. He's quite different to play as, considering he barely ever leaves the base, but I really get a kick out of enabling others during a fight. Plus his Ultimate to make a copy of an existing hero on your team just rocks, especially when their Ultimate is quite powerful. I keep getting excited when I see Blizzard emails pop up in my inbox, but they're always just about Azeroth Choppers rather than a beta invite. Just got an invite to the technical alpha today. Installing and excited! Just got my invite today, looking forward to throwing my wallet at it once the steam sale is over. Got an invite to the Technical Alpha (EU?). Looking forward to trying some of those unusual support champs. Well, I'm really enjoying this! Played around a dozen games so far. It just seems like some good honest fun. I like that a of the pieces of LoL and Dota that i find overbearing are gone down the swanny (rune/mastery system, hyper-carrying, focus so much on last hitting - i know they all have their upsides and i really do like LoL and Dota, but after a day at work I'd sometimes much rather just log in and hit things). I really like the way the battlefield provides sporadic objectives that shift the focus of the team from the lanes and into a brawl or off on an adventure every few minutes. I'm looking forward to seeing how the game matures.